T onight at a public event in the UK Parliament there was a panel debate chaired by Lord McConnell with speeches from Peteris Ustubs – European External Action Service (EEAS), Dr Jose Bastos – MSF Spain and MSF International, and Caesar Poblicks – Conciliation Resources. According to panellists the total population (4.5 million) in CAR are in need of some humanitarian aid and 25% of them are internally displaced, many of whom are in the bush and inaccessible. MSF blasted numerous stakeholders including the UN agencies who’s response was slow and inefficient. And all highlighted the fact that even before the violence started, CAR was one of the worst off countries in the world, with every individual contracting malaria on an annual basis (IMC have since confirmed that malaria accounted for up to 50% of cases at their clinics during the rainy season). Poblicks argued that this conflict was by no means due to religion. The misunderstanding, he said, is partly due to lazy reporting, but also the confusion of language with religion. 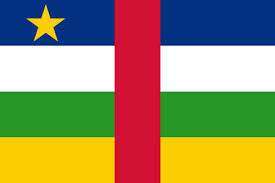 Seleka commanders do not speak the local language, nor much French, and so they converse in Arabic. It was claimed some are from Chad. Therefore, they were perceived as Muslims and associated with Muslim groups in CAR. The extreme violence witnessed, according to Poblicks, is not simple retaliation, but rather a manifestation of identity politics. Where there is no legitimate political process, identity politics is known to be used to fill the void and garner support. The political void and complete erosion of public services contributed to the breakdown of law and order. For instance, Poblicks told how in August 2013 a Government minister was stopped in Bangui on his way to work by a Seleka Commander. The Commander confiscated his car and made the minister walk to his office. Ustubs claimed that Seleka commanders had no political agenda of their own. Their proposal was a combination of no rule of law, no public services, an army that doesn’t obey the politicians and an increasingly nervous population: not a carefully planned massacre of one religion by another. In 2003, the anti-Balaka group formed as a community vigilante group. With the lack of investment in the policy and army, this group received a lot of support until it became strong. 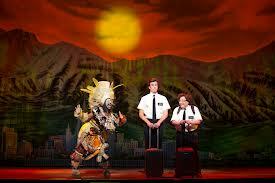 But this group is not based on particular religious beliefs. So where’s the hope? Catherine Samba-Panza has been called ‘a god given mother’. The panel asked the international community to ensure that the mother does not fail (or be perceived to fail) by supporting the establishment of a capable governing authority before they once again forget about CAR. The alternative, it was threatened, is a slow version of the 1994 genocide in Rwanda. But as the audience asked, with other big crises taking place in the world (South Sudan, Syria, Philippines) how do we raise the profile of the crisis in CAR and improve the currently insufficient response? Several people have already tried to use the spectre of genocide to increase awareness of the crisis. As the panel said today this has the potential to divide and confuse the debate rather than galvanise stronger response. A legal discussion into whether or not the situation in CAR meets the definition of genocide as laid out in the Geneva Convention will distract from the real issue at hand. Whether or not the situation is genocide or even pre-genocidal: it’s terrible, a crime and many people are suffering and even dying as we speak. We need to act regardless. Sadly there are some corners of the world that seem to fail to capture attention and CAR has long been one of them. Kristina Georgieva, EU Commissioner for Humanitarian Aid, and Valerie Amos, Head of UNOCHA, visited the country together taking the media with them. A donors’ conference on 20 January in Brussels raised 380m EUR (nothing in comparison to what was raised in Kuwait for the Syria response). But still the media take the easy option and fail to understand that violence has not broken out in every community, as one audience member said ‘not all of CAR is like Bossangoa’. We need to all keep talking about and raising awareness of CAR. Finally, the panel discussed the importance of a national reconciliation process. Anger exists as many feel abandoned and many more are left homeless and/or jobless. By reaching out to those communities, like in south Bangui, where people are living side by side and working together to protect themselves regardless of their religious affiliation, peaceful solutions can be found. And for that peace to be sustainable, it needs to be an inclusive process that allows for reconciliation, reconstruction and ultimately stability. As Lord McConnell said in his closing remarks, it was ‘an outstanding hour and a half’. Crisis in CAR: Did public awareness of CAR increase during recent violence? Today, 27 January, is the International Day in memory of the victims of the Holocaust: a day designated by the UN General Assembly resolution 60/7 on 1 November 2005. It’s important that we remember those who suffered, died and lost loved ones during the Holocaust. And it’s also important, that we remember the actions that have been taken by the international community to prevent and punish any future attempts at genocide. This particular date was chosen as the day in 1945 when Auschwitz was liberated by the Soviet troops. Auschwitz was the largest concentration camp under the Nazis, where at least 1.1 million prisoners died. Resolution 60/7 urges the remembrance of Holocaust victims along with the development of educational programmes about the Holocaust and genocide more generally. The purpose behind this is the belief that education and understanding will help to prevent future genocides. And there are those who would describe the targeted killing seen in the current South Sudan conflict as acts of genocide. Journalists are reporting civil war, along sectarian and tribal lines. And many aid workers still there and human rights organisations are reporting numerous atrocities. But what is the difference between atrocities, human rights abuses and genocide? 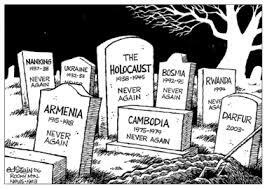 Does genocide require large concentration camps like those witnessed during the Holocaust? The United Nation’s General Assembly Resolution 260 ushered into being the Convention on the Prevention and Punishment of the Crime of Genocide on 9 December 1948. But the Convention did not enter into force until 12 January 1951 after twenty members states ratified the convention and instituted it in their domestic law. The word genocide was first used by Rapheal Lemkin in 1944. Lemkin had searched for a unique word to describe the barbarity he had witnessed during the Holocaust: a word that described ‘a coordinated plan of different actions aiming at the destruction of essential foundations of the life of national groups, with the aim of annihilating the groups themselves’. This was later more clearly defined in Article 2 of the Convention as ‘acts committed with intent to destroy, in whole or in part, a national, ethical, racial or religious group’. The Genocide Convention introduced the idea that sovereignty included a sense of responsibility. This was a fundamental change to the ‘constitution’ of the international community: the new legal situation said that a state’s rights did not trump the rights of individuals. No longer were state authorities allowed to inflict human rights abuses against a group of citizens without expecting repercussions. As the opening paragraph to the Convention states: ‘Recognising that at all periods of history genocide has inflicted great losses on humanity, and Being convinced that, in order to liberate mankind from such an odious scourge, international co-operation is required’. Article 1 of the Convention makes it clear that genocide ‘is a crime under international law which they undertake to prevent and to punish’. Ratification of the convention took a while as some states were worried that either this could be used against their citizens, particularly members of the armed forces, or that it would bind them to act and interfere in foreign states. 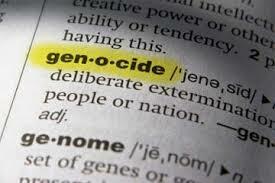 To some the concept of genocide is very clear but there are always degrees of what something can mean in law, and often it isn’t until precedent is set that the precise meaning can be defined. Since the ratification of the Convention, only two episodes have been defined as genocide: Rwanda in 1994 and the 1995 Srebrenica genocide. There have been many accusations, but these are the only two that have been found to be the case in an international court. But what about Darfur, Cambodia, the recent massacre in Rakhine State, the Tamils in northern Sri Lanka, East Timor, the DRC, the Guatemalen Civil War, the Bangledesh War of 1971, Burundi, Argentina’s disappeared . . . And before the Convention came into being, there was the massacre of the Kurds, Trujillo’s execution of Haitians living in the Dominican Republic, the plight of the Armenians . . . Returning to today, is the sectarian violence we are witnessing in CAR slipping in to genocide? Targeted killings of individuals due to their religious belief have been witnessed and filmed on several occasions. But the question remains whether these are opportunistic individuals or an organised mass. Even if the events in CAR could be described as acts of genocide, it would be difficult, at this stage in the conflict, to indict a particular individual or group of individuals for planning a genocide. Mob massacres have not yet been proven to constitute genocide. State sovereignty may no longer protect perpetrators of genocide, but there is little precedent for acts of genocide when the state is destroyed as in the case of CAR. Perhaps the main hindrance of the Genocide Convention, and international law more generally, is the difficulty of taking action when a state authority is not leading the acts . This is just the first step and a great deal of work involving civil society in South Sudan will be required to make this agreement the first step towards peace. There were 8 numbered drafts, plus a 9th final draft which was signed. Most changes between drafts were small. The cessation of hostilities agreement has seen a number of changes. The most notable has been dropping the demand that foreign armies (that means you, Uganda) leave South Sudan. The language on the release of detainees has been weakened repeatedly to the point the signed agreement doesn’t appear to add much to the cessation of hostilities agreement. The signed draft was weakened even from the previously weakened draft which said ‘the parties agree to urge the President of the Republic of South Sudan to use his Constitutional Prerogatives to grant pardon and release the detainees to allow them to participate in the dialogue’. That confusing section in which the president’s representatives were urging the president to do things disappeared from the signed agreement entirely. These changes provide an insight into what were the stumbling blocks to reach an agreement (assuming it wasn’t just the delegates wanting to milk the Sheraton holiday- see this study on the effects of perks on peace talks if you think we’re joking). Toute discussion sur les moyens d’intégrer le secteur humanitaire entraine inéluctablement ce type de questionnement. C’est une industrie difficile à percer et il y a de nombreuses versions des procédures à suivre pour y arriver. Beaucoup sont fausses; d’autres, malheureusement, sont fondées. Si je pouvais dessiner un nouveau secteur humanitaire, l’une de mes priorités absolues serait de créer des chemins de carrière plus clairs. Ca peut paraitre dérisoire au sein d’une industrie dont l’objectif principal est de venir en aide a ceux qui en ont le plus besoin. Au contraire. Je pense qu’il est impératif que le secteur démontre une prise de responsabilité, qu’il soit transparent et qu’il favorise l’autonomie. L’un des meilleurs moyens pour cela serait d’en faire un modèle depuis la source et donc d’appliquer ces principes aux modalités même d’entrée dans le secteur. Si ses membres sont encadrés par ce type de comportement, il va de soi que cela se manifestera dans leur façon de travailler. Les hommes, de par leur nature, imitent et sont le produit de l’environnement dans lequel ils résident. Aujourd’hui il y a peu de tracés directs pour travailler dans l’humanitaire. Ceux qui existent sont temporaires – l’ONU a récemment fermé son Programme Jeunes Administrateurs, pourtant connu comme l’un des principaux points d’entrée dans l’humanitaire pour de jeunes enthousiastes a travers le monde. Un programme similaire mis en place par Département du gouvernement britannique pour le développement international (DFID) vient quant a lui d’être réinstauré (DESA) mais n’a pas vu de sang neuf depuis cinq ans. Pour les économistes, l’Overseas Development Institute a mis en place un programme de bourse offrant à des jeunes diplômés en économie et statistiques des expériences de travail rémunérées à l’étranger. Pour les jeunes voulant intégrer le secteur humanitaire, la Commission européenne offre un programme de volontariat pour une expérience de court-terme au siège d’une OING suivie de deux expériences sur le terrain. Aucun de ces programmes ne garantie un travail rémunéré – et je ne pense pas qu’ils le doivent – mais ils permettent d’obtenir une expérience de travail bien vue dans le secteur : un avantage non négligeable pour une future carrière dans l’industrie de l’aide. Si je devais mettre en place une liste de ce que le secteur perçoit aujourd’hui comme étant le profil idéal, il serait fait un peu comme la liste de compétences ci-dessous. Notez que ce n’est pas ce que le secteur devrait attendre de ses nouveaux candidats (un tout autre débat), mais ce que l’industrie de l’aide humanitaire internationale aujourd’hui recherche comme qualifications chez les candidats au niveau international et régional (i.e. pas sur le terrain). • Des compétences transférables telles que management budgétaire, management hiérarchique, management de projet, et des compétences en informatique. Il s’agit, je le répète, d’un profil idéal – cela ne veut pas dire que s’il vous manque une ou plusieurs de ces compétences il vous sera impossible d’intégrer le secteur. Mais si vous cherchez a accroitre vos chances et avez le temps et les ressources nécessaires pour investir dans votre développement personnel, posséder certaines de ces compétences serait un très bon départ. Malheureusement, beaucoup dépend de votre réseau, et/ou de chance. Bon nombre de mes collègues m’ont dit qu’il s’agissait souvent d’être au bon endroit au bon moment, ou qu’un ex-collègue leur avait plus tard donné un coup de main. Ce n’est pas juste et je trouve la pilule difficile a avaler mais cela reste néanmoins une réalité. Avant que nous ne perdions complètement espoir d’intégrer le secteur, considérons d’abord les différentes façons de gérer le problème. En premier lieu, vous pourriez vous concentrer entièrement sur votre réseau: en vous mettant en avant sur LinkedIn, en passant du temps dans les pubs et bars a proximités des sièges d’OING, en participant a toutes les conférences ou débats avec des cartes de visite faites maison etc. Cela peut fonctionner mais c’est épuisant, et souvent très difficile de montrer ses compétences autour d’un verre de vin après un débat sur les leçons tirées de réponses d’urgence auxquelles vous n’avez pas participé. Sans parler du fait que beaucoup d’entre nous ne sommes pas forcément doués en networking. D’autre part, vous pourriez passer votre temps à discuter avec et vous renseigner sur ceux qui font déjà partie de l’industrie. Il y a de nombreux mémoires écrits par ceux ayant expérimenté le terrain. Ces récits ne vous apportent pas d’expérience en soit, mais vous permettent de mieux comprendre les différents aspects du secteur. De même, discuter avec des amis, amis d’amis, ou amis d’amis d’amis, votre famille, des anciens élèves de votre école qui ont travaillé/travaillent dans le secteur, vous permet d’obtenir une perspective sur la réalité de l’industrie. Ceci devrait vous aider a prendre les bonnes décisions sur quelles positions briguer et a faire des candidatures réussies. Enfin, demander l’avis de votre employeur ou ex-employeur sur votre CV pourrait faire toute la différence. Saviez-vous qu’en étant en charge du stock de barils de bière dans le sous-sol du pub, vous utilisiez des compétences similaires à celles requises pour contrôler les stocks ou être en charge des entrepôts sur le terrain? Certains mots ou façons d’exprimer votre expérience peut faire mettre votre CV sur la pile “à interviewer”. 2. Faites attention à bien choisir vos stages. Beaucoup d’OING et organisations internationales ont un large turnover de stagiaires suivi de très peu d’offres d’emploi. 3. Soyez flexibles dans ce que vous êtes prêts à faire et où vous êtes prêts a aller travailler. Voila ce qu’on aurait voulu savoir avant d’integrer le secteur humanitaire (en anglais). A suivre d’autres blogs sur le professionalisme, le recrutement et les stages, par exemple, le recrutement humanitaire = élitiste? (en anglais). This blog was originally published in English on 8 January 2014 and can be viewed here. This is one of the best analysis of the South Sudan crisis we have seen. We liked it so much we are posting an English translation from the original French article as a guest blog. Original article by Vincent Hugeux, published January 8, 2014 at 7:57 in the French newspaper L’Express. Translated from the French for AidLeap by Abiol Deng. Africa’s newest state, South Sudan, is the scene of a deadly conflict, the stakes of which Professor Gérard Prunier breaks down. What do we know in our part of the world about South Sudan, with Juba as its capital? If truth be told, not much. Maybe those French who are familiar with Post-colonial African upheavals will remember that the newest sovereign state on the black continent, which is as large as France, inhabited by 11 million souls and endowed with an enviable abundance of oil, came to being in July 2011. They are probably aware that South Sudan was born of a separation between the Sudan of Islamist Field Marshall and President Omar al-Bashir, indicted by the International Criminal Court for crimes perpetrated by his militias in Darfur, and the predominantly Christian and animist rebellious southern territories. This Separation was bitterly negotiated at the end of more than two decades of carnage. As for those “addicted” to Sub-Saharan current events, they will know that this frail newborn has been stricken since mid-December by a deadly conflict which opposes President Salva Kiir of the Dinka ethnic group and his Nuer ex-Vice President Riek Machar, who was fired five months earlier under the pretext that he had hatched a putsch attempt. The current result: several thousand dead and 200,000 displaced. A former researcher at the CNRS (French National Center for Scientific Research), longtime director of the French Center for Ethiopian Studies and presently working as an independent consultant, Gérard Prunier bluntly breaks down the stakes and the hidden agendas of the confrontations that are setting ablaze five of the ten states which comprise the country. Moreover, it is from Addis Ababa, the headquarters of the African Union and, since Monday, the site of laborious peace talks, that Prunier answered our questions. What are the chances of success for the Addis Ababa talks? Zero. They are non-existent. This is war. The winner will be he who ousts the other militarily and diplomatically. Only intense international pressure convinced the two delegations to meet here, even if it’s only for show. Announced as imminent, would the recapture of Bor, the capital of Jonglei State, by President Salva Kiir’s forces sound the death-knell of the insurrection? No, quite the opposite: If government troops take back the key cities, they will only control the urban centers but certainly not the rural areas which are destined to interminable guerilla warfare. Put simply, Juba finds itself in the situation of Khartoum ten or twenty years ago, master of the cities but not of the rest. Incidentally, know that this “coup d’état” story is total garbage. Hunted down, Riek Machar is probably only alive thanks to his bodyguards, who hid him as he slipped through a fence. From a military standpoint, what are the power struggles? Machar himself told me, he has more volunteers than needed but he lacks munitions and fuel. Put simply, if he doesn’t receive help from Ethiopia with the approval of the United States, he will be in a real bind. Thus, in the short term, the Bashir-Kiir team can prevail. In the long term this is out of the question. Can the announced doubling of UNMISS troops (the United Nations contingent), meant to go from 6,000 to 12,500 men help to put out the fire? By no means. In South Sudan the UN is useless. What role does Omar al-Bashir, who has never recovered from the amputation of his “Sudan,” which was imposed by the international community, play on this chessboard? Is it truly the eviction of Riek Machar that sent the sparks flying? Yes, even if the conflict began before that with the forced retirement of 170 officers who assisted the SPLM-North, a guerilla group of black Muslims who are hostile to Bashir. At the origin of this crisis, there is Salva Kiir’s realization that he had no chance of honestly winning the 2015 election. That’s why he bowed down to the master of Khartoum. Since the embraces of the two men on Monday, no more doubts are possible: Kiir has sold himself body and soul to the Arab enemy of yesteryear. This man is so stupid that he has managed by behaving thus to strengthen a fierce opposition against him. What is the role of ethnicity in the current conflict which is marked by ethnic violence of Dinka against Nuer? It is by no means an ethnic or clannish conflict. As often in Africa, war against the other is merely the collateral effect of a power struggle. The evidence here is that one finds Dinkas in the anti-Kiir camp. Let’s now look at the position of the regional actors, starting with IGAD, the Intergovernmental Authority on Development. Very simple: IGAD doesn’t exist. It’s a “thing” to reprise the name that Charles de Gaulle gave the UN, but a very small thing. Uganda is sticking to its support of Salva Kiir. And for a reason: hovering in the entourage of President Yoweri Museveni, who thinks he is Bismarck, are many businessmen who have economically colonized South Sudan. It’s the same for Kenya, even if Uhuru Kenyatta does not think of himself as a great man. This being said, the wind is changing. Nairobi, overcome by the fear of chaos, has begun an operation of backpedaling. As for Eritrea, they are supporting Salva Kiir. Ethiopia, which hasn’t had a real government since the death of Zenawi, hesitates and procrastinates. The military in Addis know very well that a victory by the president in place would lead straight to a guerilla war without end, hence the stalemate. Nevertheless, without a green light from the political class they cannot make any decisions. What is the role of Bejing, the largest international buyer of Sudanese oil and the number one investor that is apparently very active in the diplomatic arena? Truthfully, the Chinese are a bit lost. They don’t have any ambition other than to preserve their energy and financial interests. Does South Sudan’s fragility have historic roots? Yes. We find them first in the British colonial policy. In the 1930s and 40s, London refrained from forming a local elite. Nevertheless, later on, remarkable personalities emerged. However John Garang (historic leader of the Southern rebellion, killed in a plane crash in July 2005) feared their talents and pushed them away, even if it meant killing some of them. Therefore, all of the educated diaspora remained at a distance. Hence the arrival of an actor as mediocre as Salva Kiir, ex-sergeant of the Sudanese army, with a greater interest in whisky and women than in nation building and whom Khartoum manipulates like a puppet. Gérard Prunier is a French academic and historian specializing in the Horn of Africa and the Great Lakes region. Abiol Deng is an international development consultant based in Berlin, Germany.